This originally appeared in 12/2017 on the site Govloop. Fezziwig…Fezziwig….where do we know that from? Tis the season for holiday staples — decorations, music and ye old favorite stories. 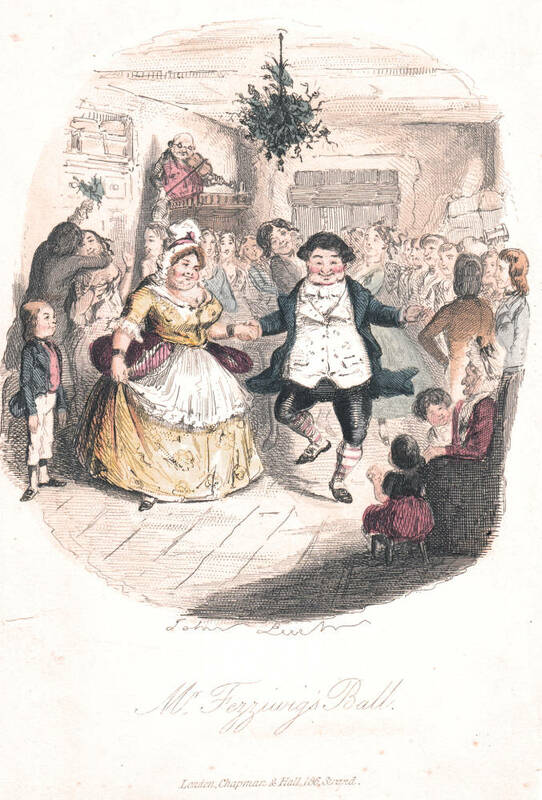 Dickens’ Christmas Carol is one piece of what rounds out so much of our holiday weltanschauung, or world view, with themes as universal as any. But do you remember who Fezziwig is and where you first met? A thoughtful nod by Scrooge at the profound impact Fezziwig’s bearing had on his staff. Is it Scrooge’s joy that makes this memorable or that you can hear Fezziwig’s laughter echoing in your mind? Like Scrooge, do you admire this style and feel yourself inspired by this manager – imagining the fun at the party along with the family and friends of the company? As the story goes on, Ebenezer reaches a fork in the road and becomes a far different kind of manager than this first mentor. For this discussion, let’s stop right here and focus on this happier example. The quality hammered home above all else in this part of A Christmas Carol is Fezziwig’s generosity. Sharing his and his family’s happiness with his employees and their loved ones is an act of appreciation. It also sets a tone of respect and support that we can imagine lasts throughout the work year on a number of levels. In many ways, this is practicing Authentic Leadership. Authentic leaders are real and genuine. Authentic leaders are constantly growing. Inherent in this style of leadership is being a constant student of your peers, subordinates and your experience. Openness to new approaches is foundational to empowered environments. Growth comes from a love of life and all it has to teach us. Authentic leaders match their behavior to their context. This is another demonstration of emotional intelligence — patience and listening to nimbly adapt communication to be most effective with an audience. It’s simple and neatly comes back to the work of humanist, Abraham Maslow. In humanistic psychology, we look at individuals as a whole person with an eye towards helping them fulfill their potential. 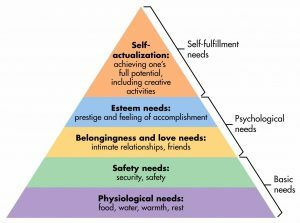 Maslow details this in his Hierarchy of Needs – often shown as a pyramid – starting with meeting people’s basic needs of safety and security. Once this foundation is set, we have the freedom for growth that builds to feeling like we are part of something bigger than ourselves, thus realizing our full potential. Yo ho there! Now we see it! One hundred years before Maslow defined it scientifically, Dickens gave us the perfect example. Scrooge barely provides for the bottom portions of Maslow’s pyramid for himself and his employees and reckons with this on his journey. An excellent illustration. On the flip side, Fezziwig is providing care for his employees as whole people. Even when they are responding to his simple request to close the shop, they do it with joy. What a lovely reminder that one person can do so much, but an inspired team can do so much more. Empowering and inspiring your people brings an upward energy trend. We make change together and we are excited to do it. I break the Fezziwig example down even more simply – to always strive to be someone I would want to work for. And who wouldn’t want to work for Mr. Fezziwig? You can’t even think the name Fezziwig without smiling because it’s a fun combination of sounds and it brings up fond images. Tis the season, and it can last as long as you wish. Cheers! Basecamp is a place and a comfort zone. No matter where you find yourself, this place is the fire place and hot chocolate, the soft sandy beach and warm ocean, the crisp mountain air with crunchy leaves at your feet that you will be returning to. Basecamp is always open.